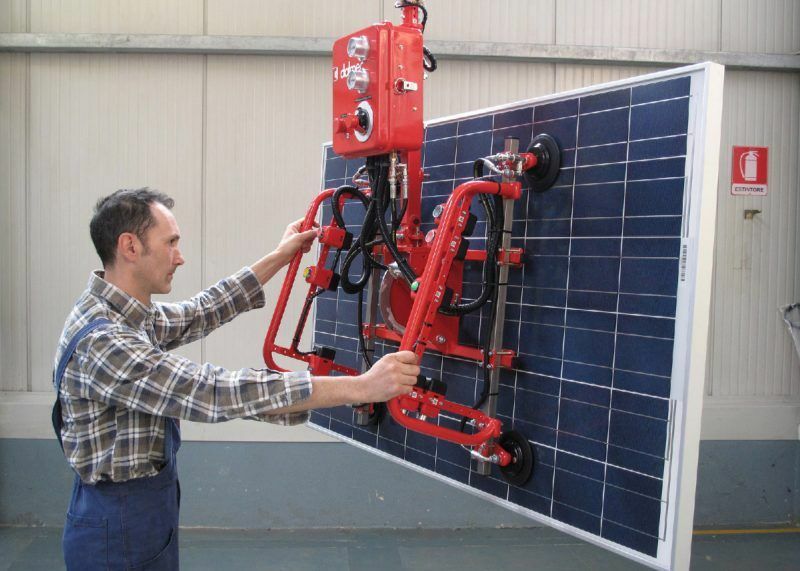 Suction cups gripping system Dalmec mounted on manipulator Partner type especially designed for handling and manual tilting of photovoltaic panels. 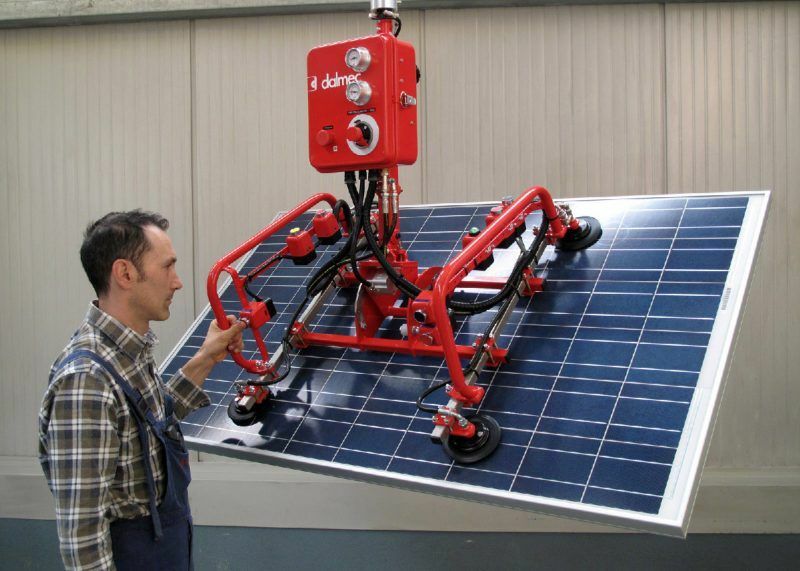 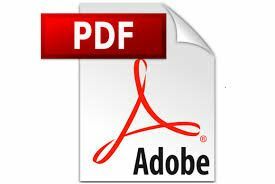 Handling device for photovoltaic panels. 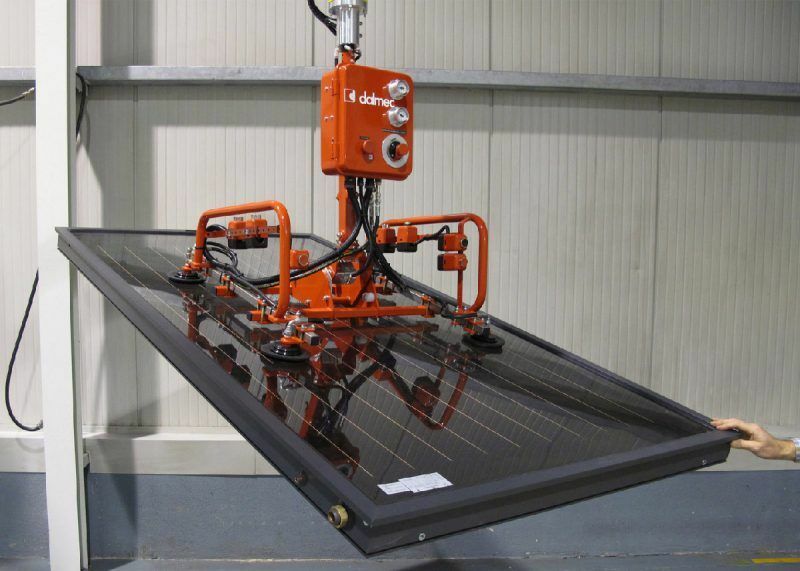 Dalmec vacuum suction system with manual inclination for gripping and handling photovoltaic panels.